Let’s Talk Turkey: History Lessons and Food Safety Tips for the Future! If turkey is the feature presentation of your holiday dinner, make sure it is as safe as it is scrumptious. It’s hard to believe that the holiday season is upon us. Where did 2015 go? Before detailing a few food safety tips for the holidays, let’s boost your general knowledge with a few interesting facts about Thanksgiving and turkey. Most may know that “Thanksgiving” was first derived from ancient festivities in Europe, celebrating the bountiful harvest to survive the winter ahead. But, did you know that the history of Thanksgiving in Canada can be traced back to the feast of thanks given by Martin Frobisher and the Frobisher Expedition in Newfoundland and Labrador in 1578? This Thanksgiving, however, was not to celebrate a generous crop, but rather for having arrived safely in their attempt to find the Northwest Passage. The most popular holiday bird (turkey of course!) plays a big role in many of our traditional holidays. In fact, it was Charles Dickens’ A Christmas Carol that has actually been credited for popularizing serving turkey for Christmas dinner. However, with turkey having become such a hot commodity during the holidays, it’s no wonder that million Canadians get food poisoning every year. Whether you are cooking for yourself, or for a family of 15, it is important to be aware of the food-related risks traditional holiday meals could pose. Food related illness, or more commonly referred to as “food poisoning,” are caused by eating foods that are contaminated by a type of bacteria, such as Salmonella. Contaminated food can lead to stomach cramps, diarrhea, nausea, vomiting, dehydration, and can also cause more serious complications among infants and the elderly. Cooking food at high temperatures usually kills the bacteria contained in the food itself. However, this precaution doesn’t help control bacteria that could have spread to your refrigerator, counters or utensils, while the food was being stored or prepared. 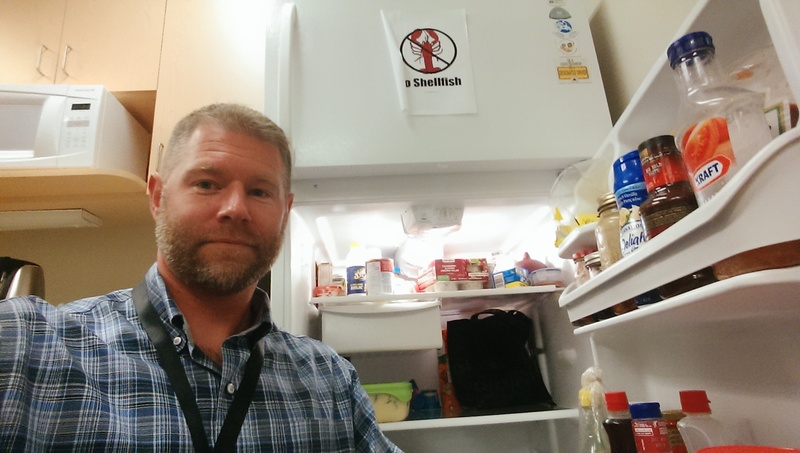 Chris suggests following the complete list of poultry safety tips from the Government of Canada. But to get you thinking about poultry safety, check out the following few helpful tips to prevent food related illnesses from occurring within your family this holiday season. Check the “best before” date on fresh poultry. Frozen poultry should not be eaten after a year of purchase. always read and follow the directions on the sanitizer bottle because some require time to work! Poultry can be safely re-frozen if ice crystals are still present and the meat is still cold. Never leave your cooked turkey out on the counter; immediately freeze excess poultry that you will not be able to eat. This story was written by Chris Nolan, Manager of Environmental Public Health with Eastern Health.